There are more arguments for separation, for difference, in a world less separated and different than ever before. The Light Helmet is one piece in a set of architectural thesis work produced by Jessica Hanzelkova examining cultural identity in the contemporary era. The helmet is imagined as a manifestation of commonality, a collective experience of individual existence. Reflecting the wearer’s heartbeat onto its interior, the helmet visualises the most simple symbol of existence in the world – life. 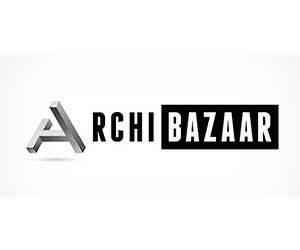 An architect often has to act as a mediator or curator when designing. Within an era of hyper-globalisation, where boundaries are consistently blurred and the pace of sharing is accelerated, it is important that individuals acknowledge their own experience and comprehension of cultural change. This is so that an ethical and conscious navigation of personal and client bias, and context can be made in the design process. Reducing a production of architecture which unknowingly romanticizes or plays-down elitist or paternalistic tendencies; remnants of colonialist ideologies that continue to propagate in society. As culture continually evolves and as boundaries become increasingly fluid, what kinds of hybrid and blurred forms will emerge to contend with a transcultural future? What kinds of universalising concepts will be referenced to create designs which engage all? What does an architecture of commonality instead of difference look like? How will transcultural identity affect design in the future? 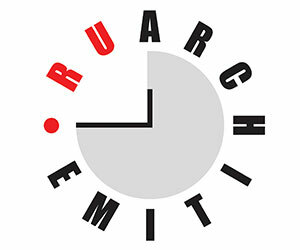 The basis of this research seeks to combine the field of architecture with cultural studies. It is important to note assumptions about the role of architecture made by the author, which form the basis of the research. 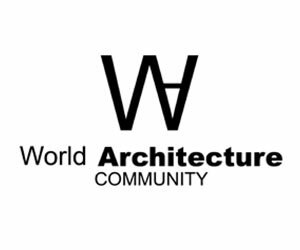 Architecture is influenced by and can influence culture; prioritizing the social, cultural, and political agency a building has, and realizing that this reciprocal relationship is pertinent in an increasingly globalised world. Globalisation is a phenomenon that has been occurring for centuries – only recently accelerated. ‘Culture’ references a process of sharing, and not exclusively a politics of difference. Architects are obsessed with material culture, that objects or artifacts can come to embody or represent entire rituals or ways of life.2 This inevitably leads to questioning the authenticity and purity of the artifacts we are referencing from. There is potential in ‘planetisation’ as an evolution of globalisation, this trajectory leads us past human-centric cultural mixing and into the realm of digital, and multi-species mixing. There are physical and metaphysical boundary conditions which exist on my face. These boundaries and titles represent the commodified version of ethnicity as the“role I play for the benefit of others”.3 My perceived cultural identity is severed, distributed, and sorted into seemingly more digestible chunks. In turn, becoming a tangible site of continual analysis, judgement, and often confusion. The head, throughout history and cross-culturally, has persisted as the site of identity, and of judgment; but also as the site of story-telling, of ritual, of individuality. The helmet draws on the long history of masks and headpieces in human history as a method of engaging with questions of collective memory and ritual, the potentials of transculturalism, and the ‘self’ in a contemporary era. The helmet is a small scale prototype which begins to consider more collective and universal approaches to design, ones which are not fixated on differences or preservation, but instead embrace flux, transience, and the individual. It looks for deeper methods of representation that go beyond outward appearances, trends, or categorization; ones which do not shroud their meaning behind layers of jargon, and analogies. The helmet is symbolically simple, it is meant to transcend cultural boundaries as it obliterates the face and projects the most basic component of life onto itself. In answer to the question: how will transcultural identity affect design in the future? The helmet answers by asking: what does it mean to be alive? Jan Nederveen Pieterse, Globalization and Culture: Global Mélange. 2nd ed. (Lanham, MD: Rowman & Littlefield, 2004), 57. Dell Upton, “Ethnicity, Authenticity, and Invented Traditions”. Historical Archaeology, 30(2) (1996): 2-4. Beauvoir, Simone de. The Ethics of Ambiguity. Kensington: Citadel Press, 1976. Bhabha, Homi K. The Location of Culture. East Sussex: Psychology Press, 1994. Frampton, Kenneth. “Ten Points on an Architecture of Regionalism: A Provisional Polemic.” Centre 3: New Regionalism (1987): 374–385. Krier, Leon. Architecture: Choice or Fate. Windsor: Papadakis Publisher, 2007. Murphy, Joel, Yury Gitman, & Brad Needham (2018) PulseSensor Playground (Version 1.4.11). World Famous Electronic llc. Nederveen Pieterse, Jan. “Globalisation as Hybridisation”. International Sociology, 9(2) (1994): 161-184. Nederveen Pieterse, Jan. Globalization and Culture: Global Mélange. 2nd ed. Lanham, MD: Rowman & Littlefield, 2004. Pallasmaa, Juhani. “Newness, Tradition and Identity: Existential Content and Meaning in Architecture.” Architectural Design vol. 82, no. 6 (2012): 4–21., doi:10.1002/ad.1486. Pallasmaa, Juhani. The Eyes of the Skin: Architecture and the Senses. West Sussex: Wiley, 2012. Venturi, Robert. Complexity and Contradiction in Architecture. London: The Architectural Press, 1966. Jessica Hanzelkova is a graduate student and cappuccino addict currently pursuing a Masters of Architecture at the University of Waterloo. Her interest in cultural identity and globalisation stems from her experience as a mixed-race individual who grew up in a relatively diverse, but simultaneously placeless city in southern Ontario, Canada. The intention of her thesis is to create several helmets that will engage with individuality through the heartbeat, but also allow for cross communication and interaction between observers and multiple wearers. Choreographed free movement pieces will be used to analyse and visualise the importance of combining the collective and self; while the thesis serves as somewhat of a cathartic release from the extreme polarisation, and aggressive desire for difference she observes daily in contemporary society. She would like to thank Christopher Warner-Smith and Anastasia Renaud at Laurentian University for their collaboration during the initial design stages of the helmet’s form.